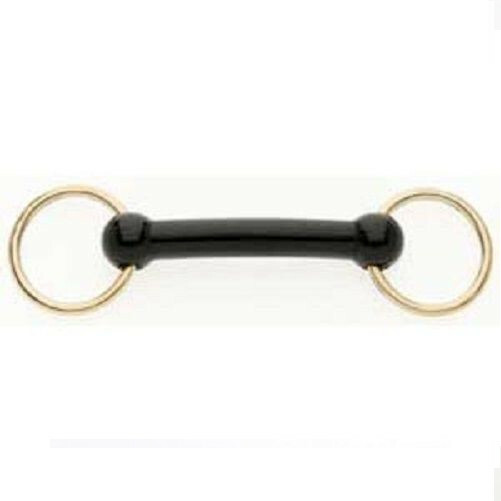 The Bradoon Nylon Mullen Mouth Brass Ring Bit from Lorina is a very popular bit, which is mainly seen on ponies. The nylon mouthpiece enourages bit acceptance as it is warmer than stainless steel, but does not taste as strong as rubber. It has a steel core running through the mouthpiece, so the bit will not snap under pressure, however the nylon should be checked before every use for sharp edges that could be caused by chewing. There are currently no questions for Lorina Bradoon Nylon Mullen Mouth Brass Ring - be the first to ask one!